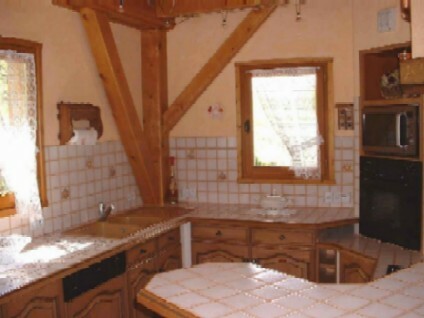 Page: Description Rural lodging " The Barn "
microwave, grill, oven, gas and electrical stove, dishwasher, fridge, freezer. 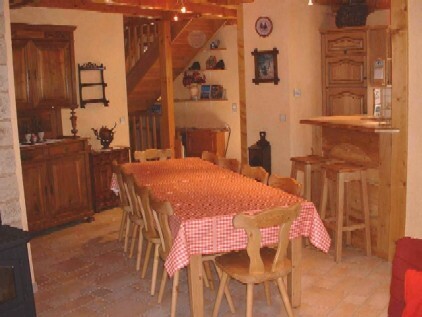 Dishes and typical « Ustensiles savoyards » (like raclette, fondue, ...) are included . 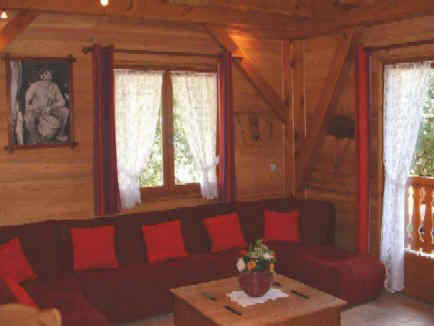 satellite TV, DVD, radio, recorder, home-cinema, wooden stove (wood provided) , board games, big eight-seats sofa, table. Access to the second balcony for the 2 top rooms. Baby beds and equipment. Beams and apparent pillars out of wooden in all the parts including in the WC and bathrooms. Construction of great quality. 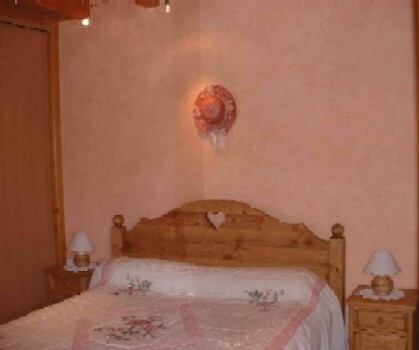 Lodging very well equipped, roomy and decorated well. Furniture of quality. 3 mansard-roofed rooms with visible beams. Cordial environment.